Check this out. 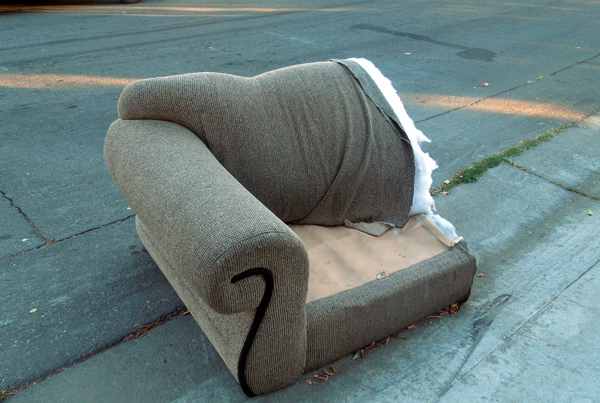 I noticed this bisected couch on the side of the road. I don't know what happened. It looked pretty funny. Like any bisected specimen, it offered an education to anyone passing by. There wasn't a solid bottom or back, and every exterior surface was covered with fabric. Inside was a wooden chassis, solid hardwood and plywood. The hardwood was joined together in spots with rows of staples. I'd never seen that before. The springs were remarkably sparse. This half-couch only had about six springs for the seat, and another six for the back. They ran parallel to each other, separated by the world's cheapest twine. This couch would usually be used with cushions on the seating, so the seat area wasn't padded very much. 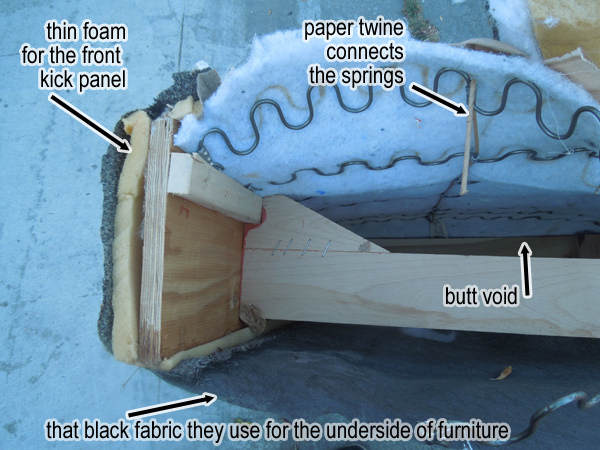 The slope of the back was defined by the curl of those springs, except the top angle was aided a bit by a little bump of added foam. Well, I guess it is a strip of foam, shown here you can only see the cross-section. The mysteries of this couch are dispelled! 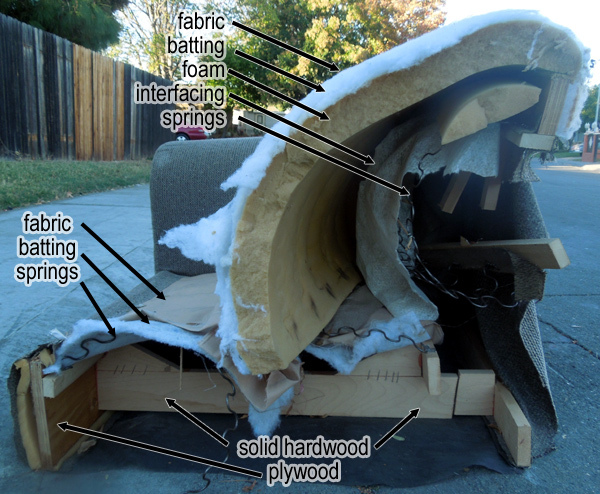 Except... how did this couch get cut in half in the first place? 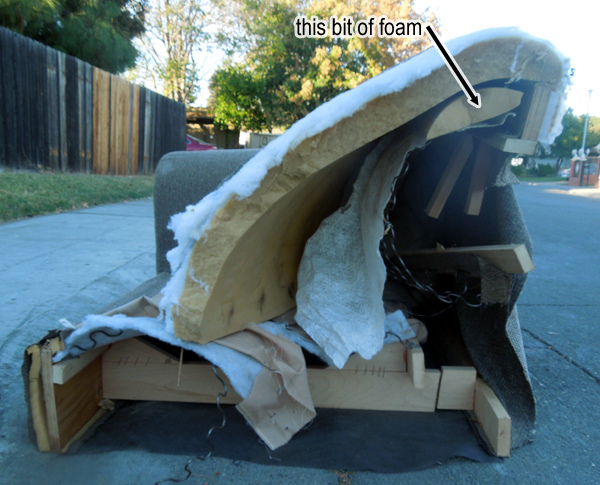 Was this done to keep an infested couch from finding a new home? Were enterprising copper thieves delving into a brave new world? Did General Zod practice his heat vision on it? Was it divided by King Solomon in a divorce settlement?